Hi Saro, what’s essential to a good impact sound? The base sound is important, but you can do a lot with layering. Don’t ever try to get the it all from one sound by EQ’ing and compression and so on. If you need additional frequencies, lay them on top (or below). I do a lot of bass enhancement and Multiband Transient shaping with BlueCat Audio MB-7 with 5 bands, with a NI Transient Master in each band. And I love Waves Vitamin! Just Impacts – Simple is a collection of regular impact sounds. Where did you record those? The main recordings were done on the junkyard, and then we simply got creative with all the stuff laying around. Check out the video for some details. The most fun was smashing about 15 TVs. The Processed version offers some meatier impacts. How did you add the extra punch? 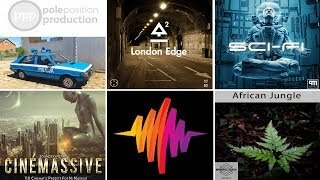 Standard sound design / mixing techniques like layering, pitch shifting, time stretching, compression, transient shaping, frequency enhancing. No special effects. The Designed version features even heavier impacts – what sort of processing did you apply? Any favorite sounds in the collections? That’s a hard question since I took out a lot of sounds even after processing to deliver just the best. I like them all, in one way or another! Everybody should decide for themselves. What was the most challenging sound to get right? I can’t remember a sound that was particularly hard to create, but there were some I had to tune some more to make sound just right. Since we did all the recordings on a public junk yard there lots up people came up to us asking what we were doing there. Some were scared :) Others very interested. It was really fun. And there were some “almost-accidents” while we were smashing all that trash into each other. Special thanks for support go out to Marc Eyrich, Tadej Leutar and Michael Wendling. 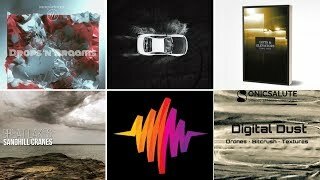 Just Impacts – Designed is a collection of 300+ heavily designed cinematic impact sound effects to make your trailers go BOOM! Whenever you need that sound to give your trailers, teasers, station IDs or action movie scenes the appropriate acoustic weight… Well, here you get 300 of ‘em. From subtle heavy bass booms to brutally distorted, ruthless shredded and granularized impacts – you’ll find it here! Just Impacts – Processed gets you 300+ sound effects of huge, dry impacts – layered and heavily processed for maximum weight. Just Impacts – Simple is a huge collection of plain impact sounds. Metal hits, wood impacts, glass smashes, junk destruction – 618 Sounds in 360 files. This is a must-have construction kit whenever it comes to a movie or game scene where one object hits another. Think car crashes, robot fights, sci-fi battles or any other kind of impact that needs the right sound effect.